Interview techniques for getting that Job! 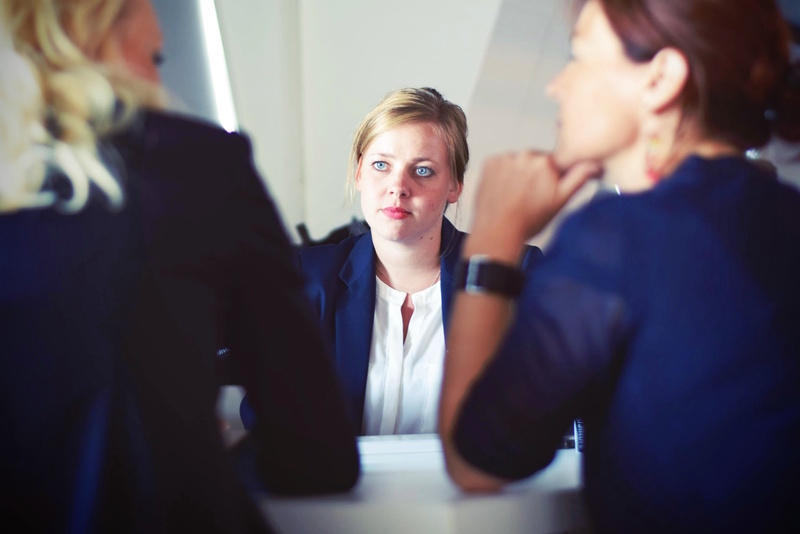 Interviewing is one of the most stressful activities imaginable for many people. It’s a long process – you have to find the right job to apply for, then go through quite a process to get your resume to the key people, get short listed and finally if you’re lucky get onto the interview list. So by the time of the interview , it can be quite emotionally challenging already before setting foot in the interview room. One thing is for sure, by feeling more confident with interviewing skills this will help. Most people don’t feel confident because they are not adequately prepared. Here are some easy tips to help you become more prepared and to nail every interview you go to. What does the company do? What are their major products and services? What opportunities and challenges are ahead of them (and how you can help)? What is the press is saying about them (a quick Google search or search in your local paper can tell you that). What is the “word on the street” about them? What is their financial position? Do you know someone who works in the company? Find out what you can about the interviewer and drop little hints throughout the conversation that shows you’ve done your research. Look them up on Linkedin to familiarise yourself with their background. See what Google has to say. Look at their Facebook account (if it’s public). Statistics show that people who “win” interviews take between 30 seconds to 2 minutes to answer a question. Anything less than 30 seconds is not thorough enough, anything more – you’re waffling – no matter how interesting you might think you are, an interviewer loses attention (and patience) after about 2 minutes. Prepare your answers in advance. Get a list of Behavioral Based Interviewing questions from the Web (there are loads out there and most interviewers don’t put a lot of thought into their questions so you’ll find 80% of what they will ask you from one of these lists of questions), choose 10 questions that you might ask if you were interviewing you for the role and write out your answers. It’s very important to write your answers out so you can recite the details comfortably in a stressful situation. It’s also important to answer these questions with real, live examples of what you’ve done in the past and not what you would do. Know your strengths and your weaknesses and don’t try to spin your weaknesses into strengths. There is nothing worse than drawing a blank to this question. It’s one of the most common questions asked and being unprepared for it demonstrates a total lack of preparedness. Don’t try to spin your weaknesses into strengths. Very few people do this well, it’s trite and inauthentic. After all, everyone has weaknesses, no one is perfect. Companies find out as much or more about you by the questions you ask them than by how well you answer theirs. Challenge yourself to ask questions no one else may have thought about. Business related, thought provoking questions. Pre prepare based on your research. Ask the interviewer about their background, people love to talk about themselves. It may also give you insight into the company culture. Determine the qualities you want in a boss and ask them questions about how they would handle situations. Interviewing is a 2 way conversation. 5. Don’t let nerves get the best of you! Prepare the night before so you know what to wear, where you are going and where your notes are. Make sure you’ve got the name(s) (spelled correctly!) of the people you’re meeting! Make sure you ask for a glass of water (don’t bring your own bottle) so that you can stall or pause as you’re structuring your answers! With a great smile, direct gaze and firm handshake. Send both Email and Snail mail thank you notes. Give detailed feedback to your recruiter including positives, negatives, your interest on a scale of 1 – 10 and how the opportunity compares to any others you may have in the pipeline. Follow up with the company 1 day after they tell you when they will make their decision or take the next step. Adrienne McLean DTM – SpeakersTrainingCamp International Instructor and the Founder of The Speakers Practice – Adrienne specialises at The Speakers Practice helping clients to confidently deliver presentations for maximum impact. You can contact Adrienne on adrienne@thespeakerspractice.com.au or ring on 0414 367 960.